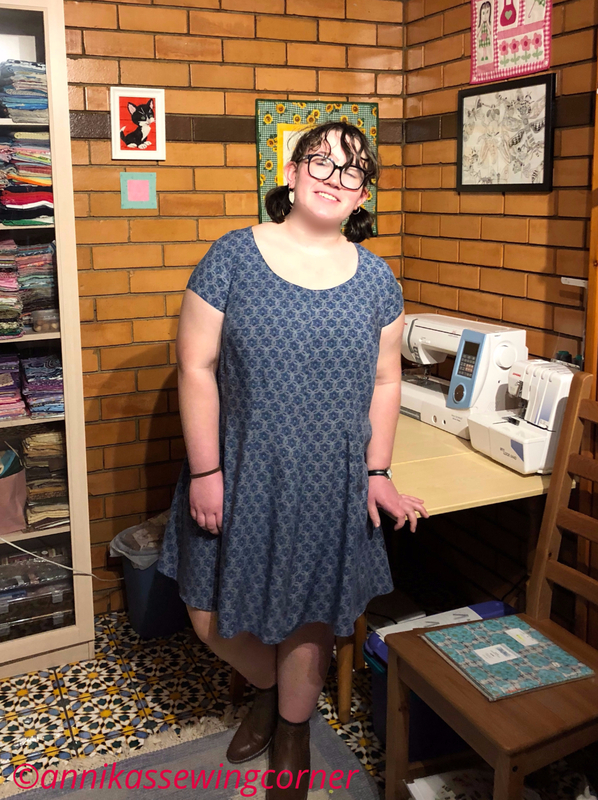 Last week I made this dress for my youngest daughter. Spring is just around the corner here in Australia and it is always nice with a new dress when the warmer weather arrives. The pattern I used was McCall’s M6958, view C, with the cap sleeves and knee length hemline. As usual I made a few changes for a better fit. Instead of the 8 pleats in the mid section I made 8 darts that were not as deep as the pleats. This still gave the dress shape but not as fitted as in the pattern. The fabric is a printed rayon fabric. It is great for summer clothes, it is thin and flowy but can be bit tricky to work with because of this. This is not a beginner pattern but very manageable with some sewing experience. I think it turned out great, and lucky for me my daughter and I are the same size and shape!